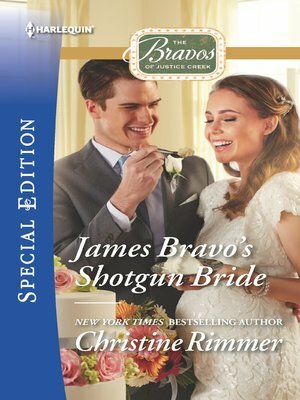 Tied to a chair and staring down the barrel of a shotgun isn't how James Bravo planned on proposing to the woman he's secretly longed for for months. He also isn't the father of Addie Kenwright's unborn baby—even if her grandfather thinks he is. James has never stolen so much as a kiss from the beautiful rancher...but all that changes when he and Addie say "I do." Three times burned is enough to put a single woman off wedlock forever. Addie only agreed to this crazy scheme to appease her ailing grandpa. Now the mother-to-be can't get enough of the hunky, blue-eyed attorney. Are Addie and James ready to take the plunge for real and turn a temporary arrangement into the marriage of both their dreams?